Research In Motion (RIM) yesterday announced its application store for BlackBerry devices, now called App World. The service, previously known as App Center, will offer BlackBerry owners an easier way to buy and install new applications on their phones, similar to Apple's popular App Store for iPhones. BlackBerry App World will work with RIM devices running the company's operating system (version 4.2 or higher) that have a trackball or a SurePress touchscreen (as in the BlackBerry Storm). Initially available in the U.S., Canada, and U.K, App World users must also have a PayPal account to buy applications from the store. Those wanting to know when the App World will become available (expected sometime this spring) can register now on RIM's Web site. While some free applications will be available for download, the next pricing point is $2.99. That means RIM is skipping two price points that have proven highly popular in Apple's App Store: 99 cents and $1.99. Why is RIM skipping these low-end prices? Perhaps the company wants to keep some of the junk applications (like the fart generators from Apple's App Store) out of its store. However, this move could backfire at RIM, as Apple's 99 cents or $1.99 app are usually top the store's list of best sellers. After $2.99, application prices will go up by a dollar from $2.99 to $19.99. After that, they'll increase in increments of $10, from $19.99 to $99.99 and so on. The maximum price for an app from the BlackBerry App World is $999.99. 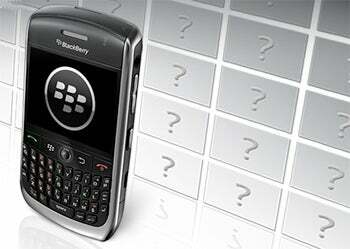 BlackBerry App World will be a downloadable application at launch and future RIM devices may come with it preinstalled. Alongside the mobile app, a Web-based app catalog will be available as well. Users downloading paid apps from the BlackBerry App World will not be able to store them on the phone's SD card. Also, RIM's app store will not distribute themes changing the phone's user interface design.